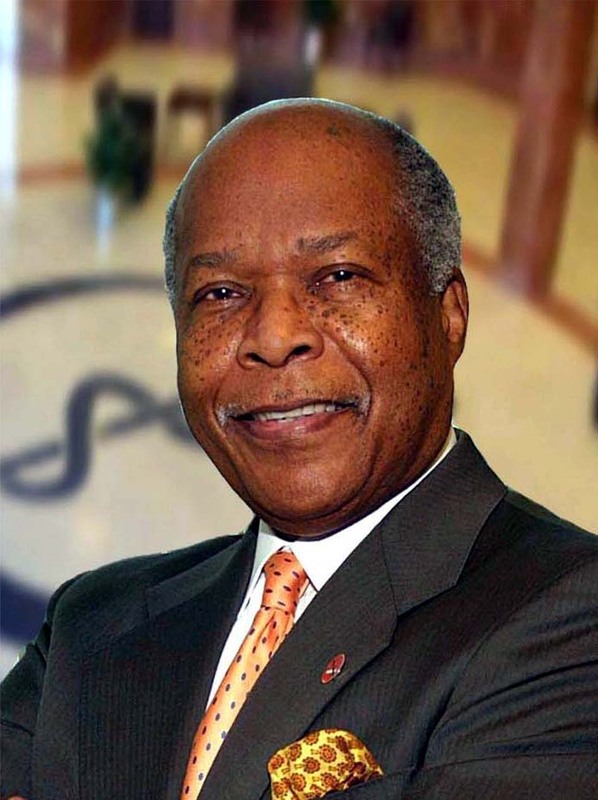 Louis W. Sullivan, MD, U.S. Secretary of Health and Human Services from 1989–1993, will speak on “A Personal Perspective on Race, Opportunity and the U.S. Health System,” at 2pm on October 4 in Lipsett Auditorium, located in Building 10 on the campus of the National Institutes of Health. This talk is part of the NLM’s History of Medicine lecture series and based on his recently-published memoir, Breaking Ground: My Life in Medicine. A meet & greet with Dr. Sullivan, sponsored by the Foundation for Advanced Education in the Sciences, will follow the presentation. Circulating Now interviewed him about his experiences in public service. Circulating Now: Tell us a little about yourself. Where are you from? How did you become interested in the work that has defined your career, and your public service? Louis W. Sullivan: I was born in Atlanta in 1933, during the depth of the Depression, in a society segregated by law. My father moved our family to Blakely, Georgia, a rural community in Southwest Ga., to establish the first funeral home for blacks in that town. I met Dr. Joseph Griffin in Bainsbridge, Ga., the only black physician in Southwest Ga. I decided by age five that I wanted to be a doctor like Dr. Griffin. By their teaching and their example, my parents instilled in me the value of public service, contributing to the community. CN: You’ll be speaking at NIH on October 4, offering a presentation entitled “A Personal Perspective on Race, Opportunity and the U.S. Health System.” Would you share a highlight or two from your lecture? LWS: I learned from a number of mentors, the values of honesty, integrity, compassion and service to others. I was taught to strive for excellence, to be the best in all of my endeavors—academic, athletic, etc. I have always been inspired by people who work to improve their world. I have been fortunate to have had the support of my parents, teachers and others who have encouraged me along the way. CN: Tell us about a defining moment in your career? What did you learn? What impact did it have on your work? LWS: A defining moment in my career was when I was accepted onto Boston University School of Medicine. This represented for me a transition from college into professional school, from a segregated society (Atlanta) to an integrated community (Boston). In medical school I learned that my preparation was just as thorough as that of my classmates who had graduated from Harvard, Princeton, Amherst, Dartmouth, and other prestigious institutions. I also found that I was fully accepted socially by my classmates (I was the only black) in my class of 76 medical students. I was encouraged to work even harder, to excel academically and socially. CN: What advice might you have for individuals aspiring to make a difference in the U.S. health system and in your view, what can history teach us about the U.S. health system? LWS: My advice to those aspiring to make a difference in the U.S. health system is to follow your passion, believe in service to others, gain your reward for work well done; and take the long view for needed changes and improvements. History teaches us that investing sufficient resources into our health system brings us many medical advances, improving health and saving dollars because of the improvements. Dr. Louis W. Sullivan’s presentation is part of our ongoing history of medicine lecture series, which promotes awareness and use of the National Library of Medicine and other historical collections for research, education, and public service in biomedicine, the social sciences, and the humanities. All lectures are live-streamed globally, and subsequently archived, by NIH VideoCasting. Stay informed about the lecture series on Twitter at #NLMHistTalk.